This handwheel is used for the lead screw and the cross slide on the C0 Baby Lathe. 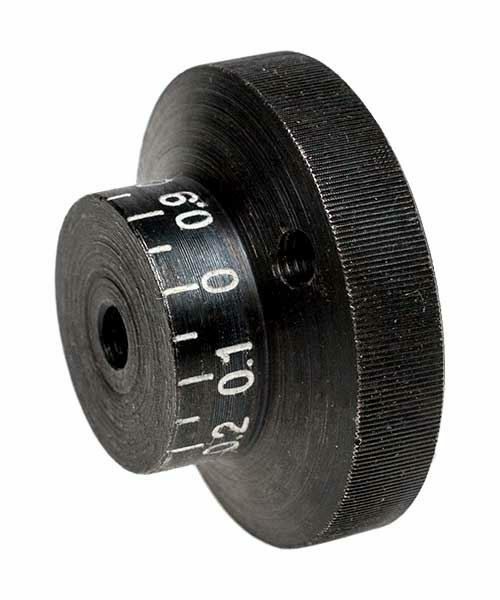 Incorporates a fixed dial with markings 0 - 0.9 with 0.05 sub divisions. The centre is drilled and tapped M5x0.8 to thread onto the lead screw or feed screw. A hole with an M4x0.7 thread is provided for the handle bolt (not included).